Baird’s Food & Beverage practice provides a unique combination of industry expertise and senior leadership. 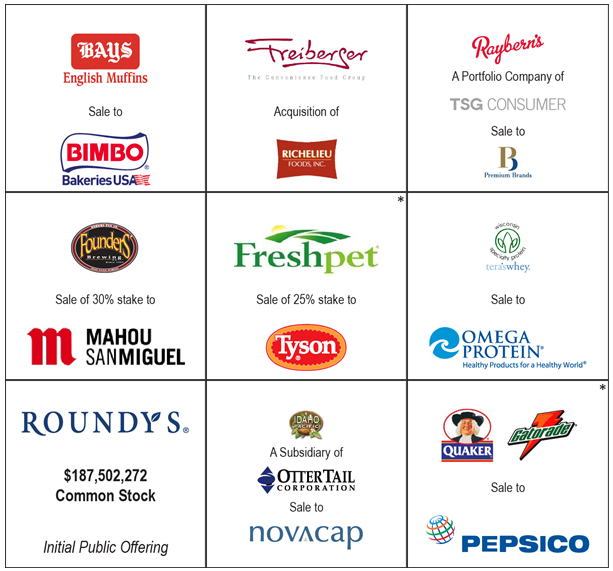 We have extensive experience and insight into the Food & Beverage market and a reputation of executing efficient processes. Our strong focus on the middle market enables our team to provide the best possible outcome and partnership for your company.